Thursday, January 30, 5pm, Tapping Double Deadeye Imperial Stout, Triton Brewing Company with KG's SliderStation! Thank you to everyone that came out to our anniversary events over the last two weeks and special thanks to the great establishments that hosted the events, Twenty Tap, Buckhead Mountain Grill, Tomlinson Tap Room, The Tap, Black Market and Pizzology. You can still find some of our special Rare Devil beers from these events on draft at Black Market, Tomlinson Tap Room and Pizzology until the kegs kick. The brewery will be open for tastings and carryout sales as usual this week, until 6 pm during the week and 1-5 pm on Saturday and Sunday. Currently on tap at the brewery: Lost River Blonde, Monon Wheat, Half Court IPA, Floyd's Folly Scottish, Empire Imperial Stout, Pentagon Porter, Pumpkin Porter, Bank Robber Belgian Brown Ale, and General Brown's Sour Brown Ale. In addition to those offerings, the Cutters and Union Brewing collaboration beer, Rye on the Scarecrow Double Rye IPA is also now back on tap at the brewery. 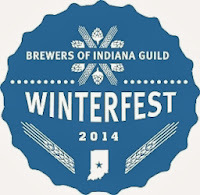 We'll be pouring at the Brews in the Barn event in Hobart, Indiana on Saturday, January 25 and at Winterfest in Indianapolis on Saturday, February 1. Stop by and say hello! We currently have two very limited release beers at Thr3e Wise Men. We have our Old 59 Barley Wine and our Old Fashioned Bourbon Brown Ale. You can enjoy a 10oz pour for only $5.50. 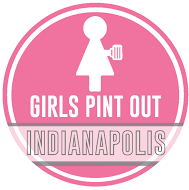 Our list of great establishments pouring our beer keeps growing. One of our newest locations is BoomBozz in Jeffersonville, IN. You can find a full list of locations on our website. Are you a bar/restaurant owner and interested in Thr3e Wise Men Beer?Let us know and we will come speak with you about our great list of beers and support that we can offer. The rumors are correct. We are expanding into Kentucky. Louisville to be exact. The official launch is Monday the 27th at BoomBozz. We’ll kick it off at BoomBozz Highlands and continue with an event on Tuesday at their Westport location. For more details. Also the updated list from now until the end of February. See here. 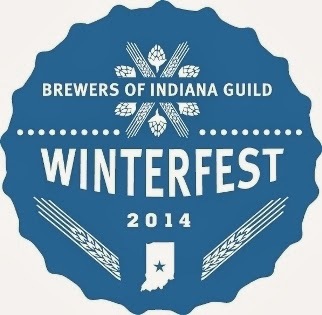 February 1st is Winterfest. We will be publishing our beer list later this week. As usual there will be a theme and our brewers are planning to play it out in unexpected ways. Be sure to come by our booth. Hope to see you there! All Scotty’s Brewhouse West Lafayette is now pouring New Belgium Accumulation. Come by and enjoy this amazing seasonal beer for only $2.50 on Thursday evening. Scotty’s Brewhouse 96th Street Indianapolis is now pouring Sun King Malius Pi! Join us on Wednesday when you can enjoy a 48oz pitcher for only $7.00! Purchase Tickets - they're almost sold out!